YAX rhinestones & motifs factory is a professional manufacturer of hotfix motifs, Swainstone,lead free rhinestone which is located in Guangzhou, China, mainly engaged in production of hotfix motifs using swainsones rhinestones, hotfix rhinestuds, nailhead etc.Our lead free products are high quality and Ultra-low price and high credibility. Now, you can get inspection reports of our lead free rhinestones, rhinestuds and nailheads, which inspected by international third-party authoritative, ITS , SGS and BV. Our inspection are made in China and Hong kong and all results show that lead content is less than 90ppmm, especially 0ppm for crystal rhinestones meeting with the latest environmental law in USA. 1.Supply samples of Swainstones,lead free rhinestone, rhinestud and nailhead for free. 2.Supply inspection reports of lead free rhinestones, swainstones certificate, hotfix motifs designs. 3.lead free rhinestone, rhinestud and nailhead of Color sheet for free. 1.Manufacture rhinestones and hotfix motifs. 2.Sell lead free rhinestones,lead free rhinestuds,lead free nailheads,environmental hot fix motifs. 3.Sell swainstones rhinestones,hotfix crystals, hotfix rhinestuds, hot fix motifs and hotfix nailhead. 4.Export various jewelry of apparel accessories such as hotfix tapes, Resinous rhinestones, laser motifs, hotfix pictures, lace rhinestones, hotfix machine etc. With over 2000 square meters area and 1600 workers, our factory and branches have the capability of large-scale production and fast shipping. The ultra-low price and high quality ensure us to your the first choice. hard cardboard at corner and around sides with vacuum shrink film outside, last packed in carton. only 30% of market price because we own the factory. 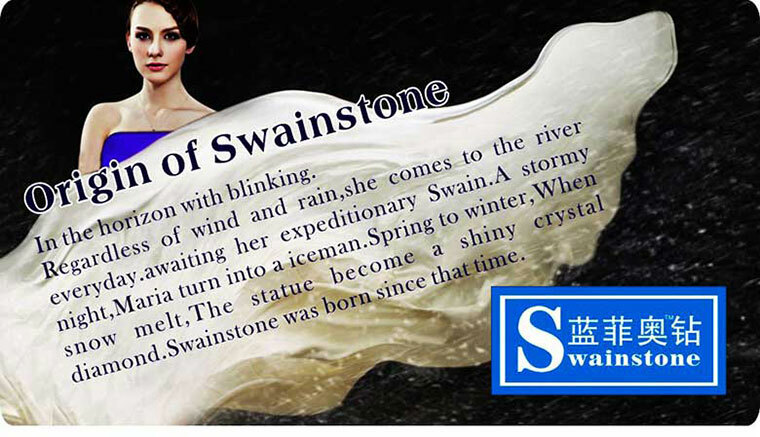 any quality problem, all will be in our responsibility.Our swainstone have QUALITY CERTIFICATE. credibility and quality focusing make us bigger and stronger. china gz YAX rhinestones & motifs factory can supply lead free rhinestones meeting with the standard of American and European Law. 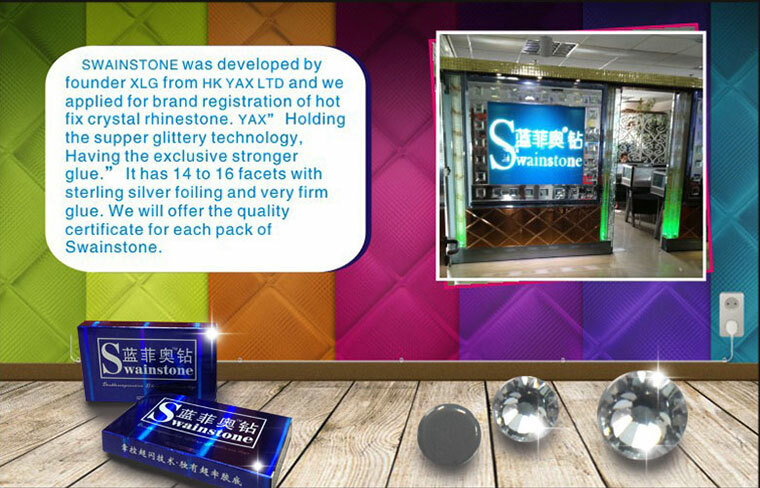 Our lead-free rhinestones have gotten SGS certificate, in which lead and cadmium content are less than 1ppm.